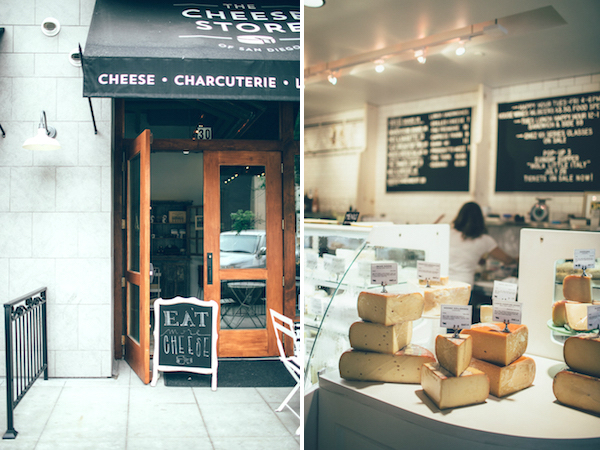 The Cheese Store hosts a lot of fun events, like cheese 101 workshops and the upcoming Baja-inspired event (above right, “Hola Little Italy”). 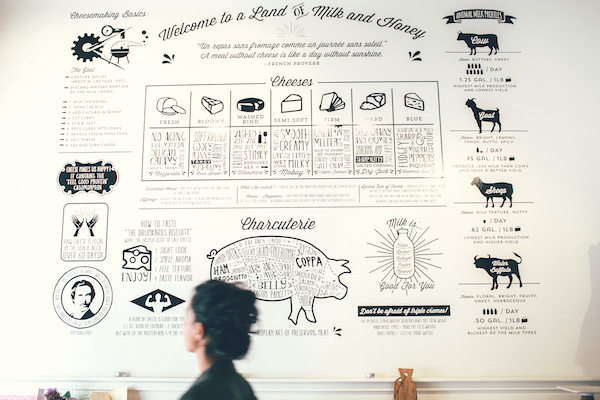 It doesn’t hurt that the space is beautiful, and the shelves are also stocked with delicious foodie finds, like jam from L.A.’s Sqirl. 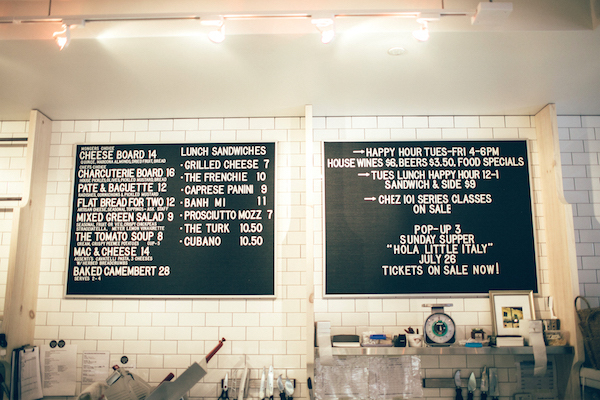 And the infographic wall (below) is just asking to be Instagrammed. I learned this super easy cheese marker tutorial from Little Blue Boo. Cut a used wine cork in half and make a 1/8-inch incision so you can slide a piece of cardstock in place. How many cheese to start with? Three to four varieties is optimal, but you could stretch that to 5. How about a mix of textures and flavors? A variety of textures is key, from soft and semi-firm to hard and blue. 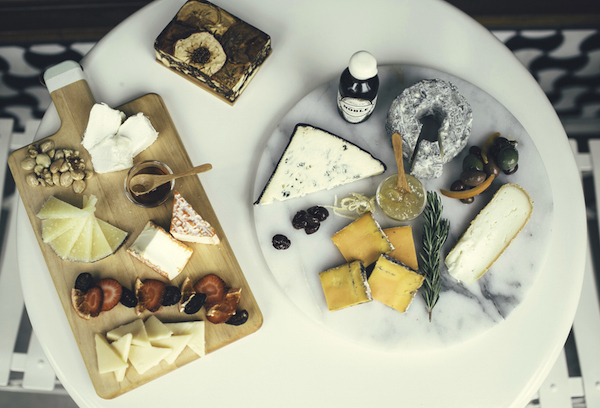 It’s a good idea to also select different milk types, like sheep, cow, goat, or even water buffalo, so you can really get the flavors out of each cheese. Mixed milk cheeses, like Pilota from France, are a great option so you can kill two birds with one stone. In the end, it’s all about what tastes good to you. 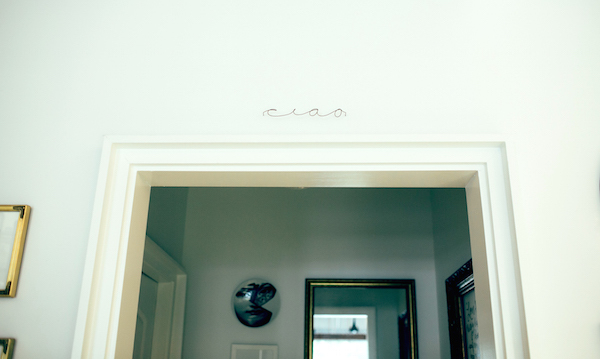 – Fresh fruits, like apricots, go well with light, fresh, unripened cheeses like ricotta or crescenza. 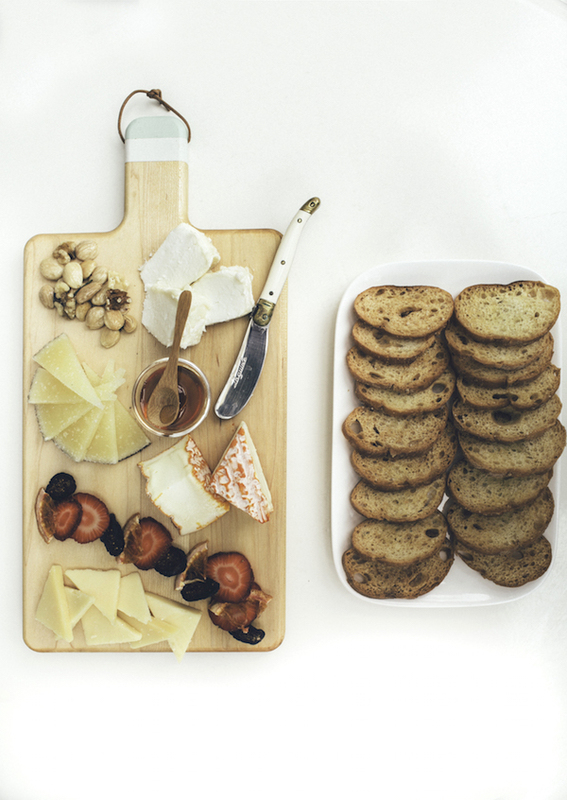 – Dried fruit pairs well with blue cheese, washed rind cheese, an aged Gouda, and triple cream cheeses. – Jams are a fantastic accoutrement. Try fig and strawberry jam with goat cheese. – Honey with blue cheese is a sure hit, as well as with triple creams, Pecorinos, or Parmesan. – Cured meat (think salty prosciutto or speck) go well with Parmesan or mozzarella. – A current favorite pairing: a fleur de sel caramel with goat milk Gouda, as well as Meyer lemon ginger jam with La Tur, a soft mixed milk cheese from Italy. It’s like a cheese Danish in one bite. And for the drinks? 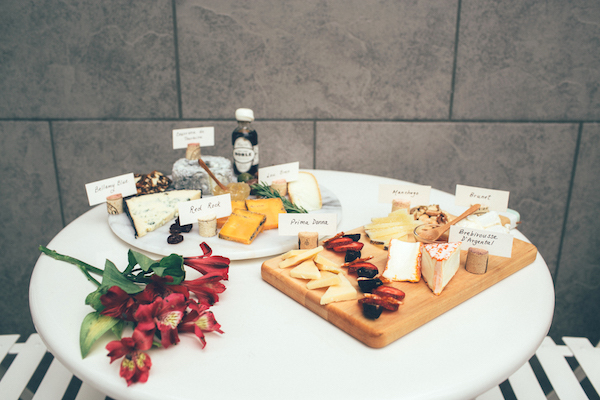 Just like with food you want to pair beverages with cheese that are either contrasting or similar in flavor. – Maybe a bold red wine with a rich Alpine style cheese like Challerhocker. 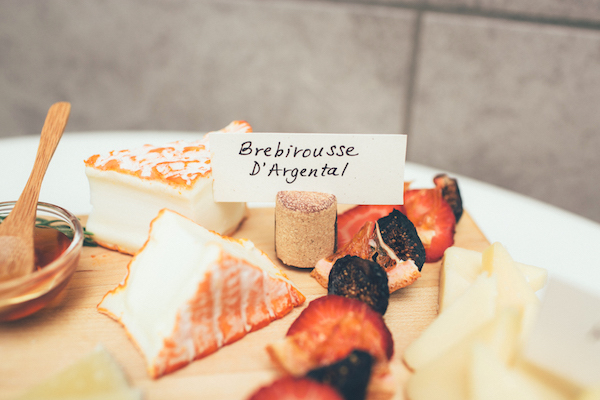 – A light blonde beer or French rosé paired with a light, soft-ripened goat cheese or fresh cheese is perfect for summer. – A malty beer with an aged Gouda. – A Porter with a triple cream (think of it like a coffee and cream combination). – A fruity cider with an aged cheddar is always a good match. – A bitter IPA with a cheddar or soft-ripened goat cheese works well, too. 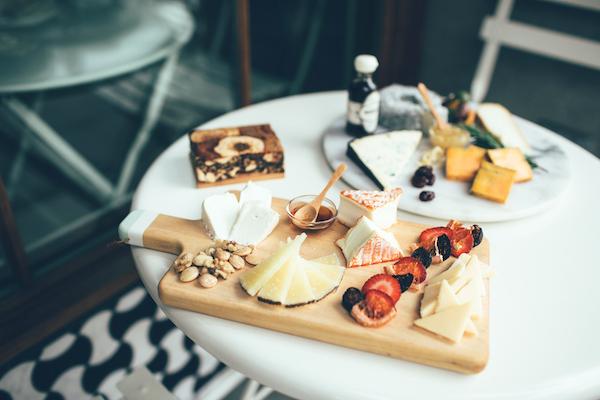 – Sparkling wine goes well with just about any cheese. Now that the platter is in place, how should we serve it? – Take cheese out of the refrigerator one hour before serving, unless it’s a particularly oozy cheese, then take it out 30 minutes before. 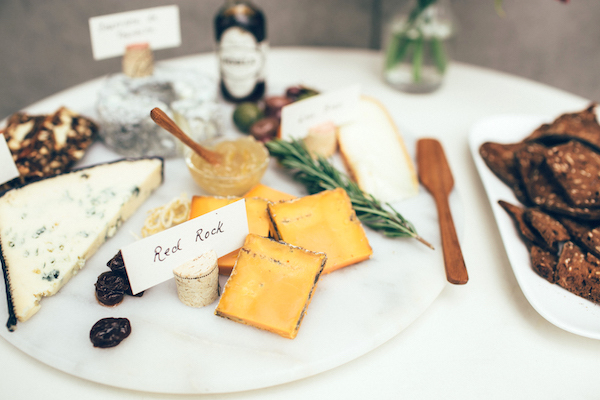 – No need to separate strong-smelling cheese from milder ones, but it’s always a good idea to display them on a cheese board from mild to strong. 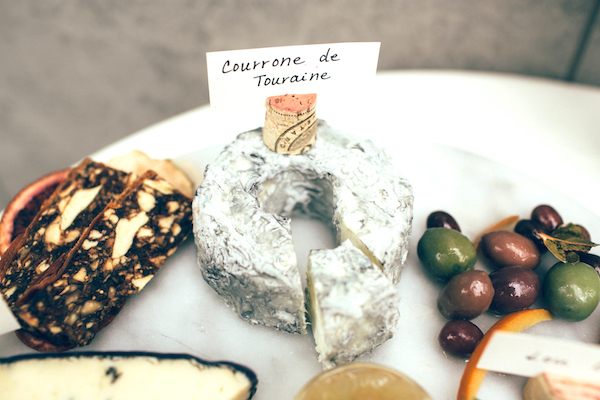 This way a strong blue doesn’t ruin your palate for a soft fresh goat cheese. – Allow 2 ounces of cheese per person, or if you have other appetizers, then 1.5 ounces per person. You may need less of a stronger cheese, like blue cheese, but a triple cream is always the first to go! Always up that one. Um… yum!! This is wonderful. 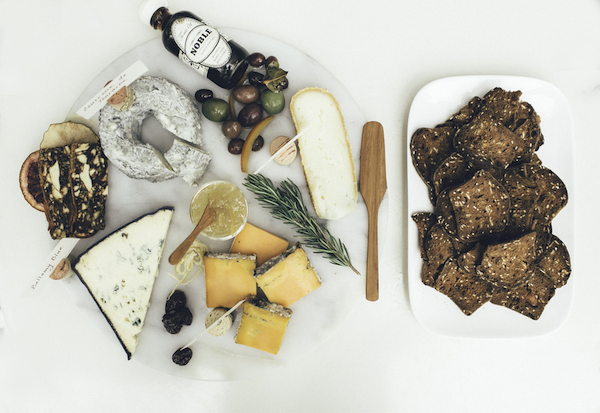 And, it is weirdly soothing to look at these photos of artfully arranged cheeses. I have heard of the cheese shop but still am disappointed in myself that I haven’t been! I agree that it’s soothing, partly because of the food, partly because Chantal’s photos have a wonderful, dreamy look to them. The Cheese Store is divine!